Chinese New Year 2018: The Year of the Dog! Why 2018 is The Year of the Dog? 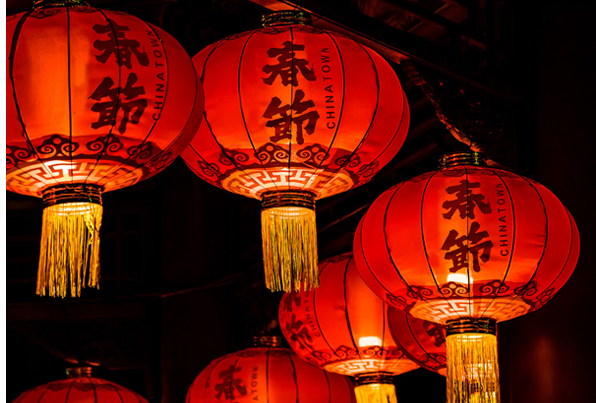 The Chinese New Year always falls on a different day as it is based on the Chinese lunar calendar and it usually takes place between the 21st of January and the 20th of February. In 2018, the Chinese New Year is on Friday, 16th February, which also marks the start of the Year of the Dog. Chinese lunar calendar is linked to the Chinese zodiac represented by 12 different animals. Every year is marked by one of the animals in a 12-year cycle. According to the Asian astrology, your year of birth and the animal it represents determinates traits about your personality. Those born in 1958, 1970, 1982, 1994, 2006 and 2018 are known as dogs. In the Chinese zodiac dogs are known as communicative, serious responsible, honest, loyal and kind with others. The Chinese New Year festivities commonly run for 2 weeks. The celebrations include parades of dancers dressed up as dragons and lions, fireworks and diverse religious traditions. The colour red is widely used for New Year decorations and festivities as it represents happiness and good fortune for the Chinese community. The Spring Lantern Festival starts on the final day of the Chinese New Year celebrations. During this Festival people go out at night to the temples carrying red light paper lanterns and release them into the sky after solving riddles and making wishes for the New Year. West End, from Shaftesbury Avenue to Trafalgar square. The Chinese Exchange organises several events to celebrate the Chinese New Year though out February. Have a look at their programme here! Blenheim Palace offers a Gan Yin Chinese Lion dance, Kung Fu demonstrations and Chinese street food from stalls in the Great Court. All decorated with dozens of Chinese lanterns. In Liverpool’s Chinatown a special lumiere event of projections each day feature the Jingwei bird and a pyrotechnic finale. A dragon parade, martial arts and dance display will be held at Albert Square. Fanfare and fireworks in Charlotte Street afterwards. To find out more about learning Chinese Mandarin, or information on any of our courses simply call us on 01273 830 960 or email us. Our multilingual team will be happy to answer any questions you may have.